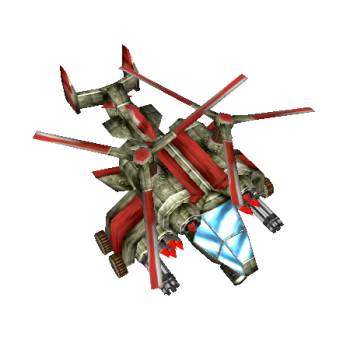 An early mobile air tank that scales well into the midgame. Adds a charge on the target unit. When another charge is put on top of it, it triggers and deals damage in an area around the target. When the Raider takes damage, the cooldown gets reset. Heals all damage you take within 4 seconds after activating this ability. The heal is limited to a percentage of your max HP. Grants magic resistance and deals damage to any enemy unit, that damages this tank. Lasts 5 seconds. Teleports the tank to the target location. After 6 seconds, the tank deals the taken damage in an 750 aoe and teleports back to the original position.